Buy 2 for $29.95! 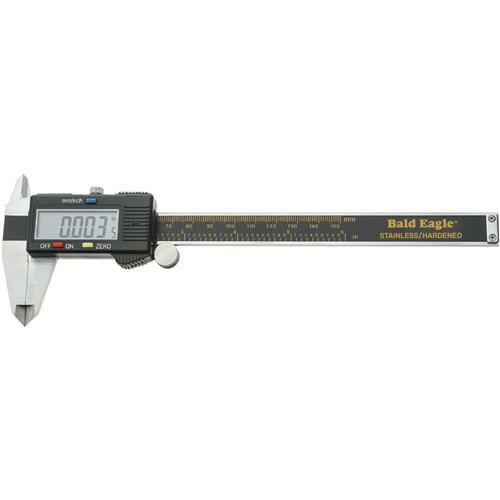 This high quality combination inch and metric digital caliper from Bald Eagle is made out of hardened stainless steel and delivers accurate measurements every time. Measures up to 6" or 150 mm and the extra-large LED readout switches between mm and inches with just the push of a button. 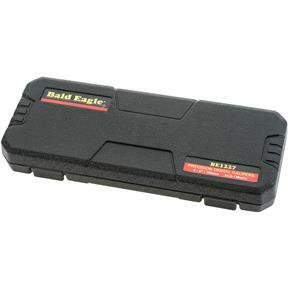 The screen has an automatic shut off to conserve battery life and the caliper comes in a protective, molded case. 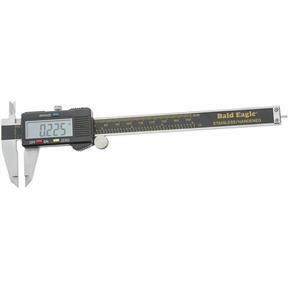 This high quality combination inch and metric digital caliper from Bald Eagle is made out of hardened stainless steel and delivers accurate measurements every time. 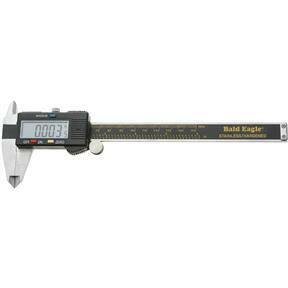 Measures up to 6" or 150 mm and the extra-large LED readout switches between mm and inches with just the push of a button. The screen has an automatic shut off to conserve battery life and the caliper comes in a protective, molded case. Q: Are these made in China? Q: Do these turn on automatically? A:Yes. They also turn off automatically to save the battery. It also has an on/off button as well so that it can be manually turned off after use. Q: Do these have data port? 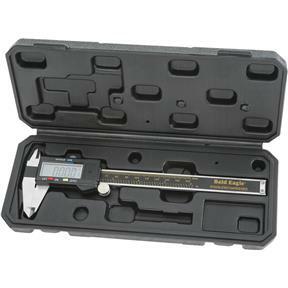 A:Our BE1227 6” Precision Digital Caliper, Set of 2 does not contain a data port. Q: After turning off and back on, do you have to reset zero? 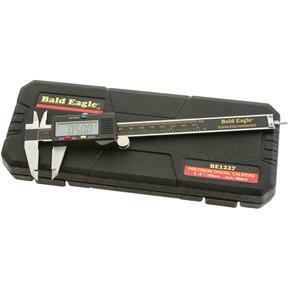 A:Our BE1227 6” Precision Digital Caliper, Set of 2 should automatically zero when turned off/on. However, you can also zero it out by hitting the yellow "zero" button feature.